Sticky Smart Patches for mobile phones – We provide a fully comprehensive bespoke service for sticky, silicon smart patches. 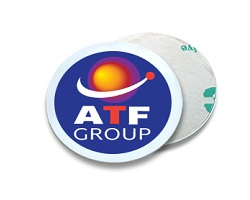 For example you can print your logo on the front of the sticky patch. Different sizes and form factors are available. We can also match the main colour of the patch to a Pantone reference of your choice (see our chart below). Please also take note of our stock and fulfilment service. Please call our offices on 01295-660017 to speak to one of our in-house experts who will be able to advise on all the different options.